CORE Martial Arts and Fitness is focused on developing new programs as we grow to ensure that our members will always have access to the variety of Martial Arts and Fitness options available. By providing programs such as Taekwondo, Aikido, Brazilian Jiu Jitsu, Kickboxing, Group Fitness, Yoga, etc… for our members, CORE Martial Arts and Fitness meets the desire of those who wish to build on, or improve upon their own capacity for weight management, physical fitness, self-defense, and self-esteem. CORE Martial Arts and Fitness is interested in the complete personal development of each of its members. Individual attention to each member is a feature in each class session. This allows all involved to progress quickly and confidently toward their personal goals. 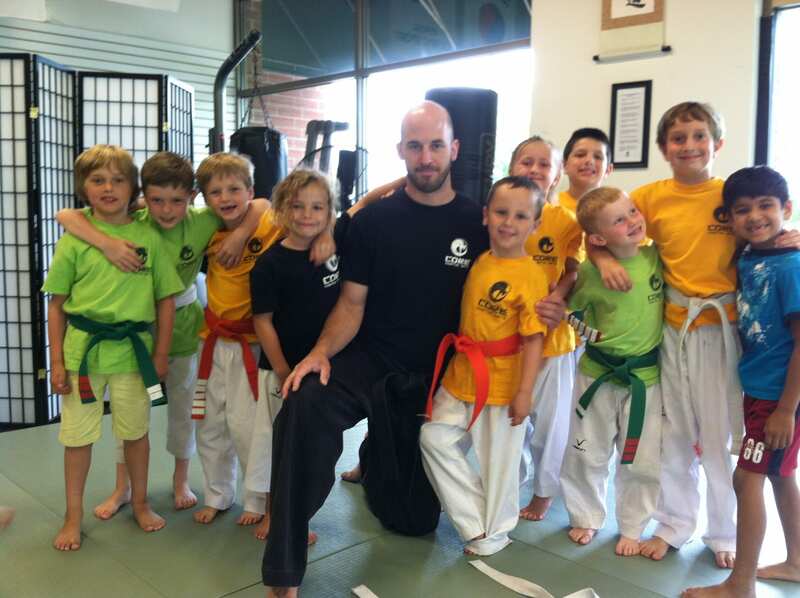 As it relates to minors, each instructor upholds their responsibility as a role model for younger students with the utmost seriousness; teaching them the importance of strong character, leadership and respect towards others. Our systematic approach to teaching guarantees students and their families the most professional, well supervised, and highest quality classes available in any setting.